James G. Butler, Jr. is a partner at Butler Viadro, LLP. His practice focuses on prosecuting catastrophic injuries cases involving union workers (e.g., cement masons, boilermakers, elevator constructors and mechanics, and operating engineers) and the simultaneous litigation of benefit systems. In other words, he prosecutes any workers compensation, longshore and harbor workers, social security and/or AFL-CIO pension cases, in addition to the civil lawsuit, so that the client receives the full benefit of all available remedies instead of a single remedy. Mr. Butler is a certified specialist in workers' compensation. Mr. Butler has spent 22 years trying cases to verdict and has tried cases in many California jurisdictions. 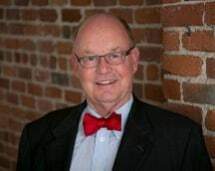 Mr. Butler is a past President of the San Francisco Trial Lawyers Association, and has been a frequent lecturer for labor organizations and lawyers' groups, including the California Applicants' Attorneys Association and the Consumer Attorneys of California. Mr. Butler has been selected by Super Lawyers as being among the top 5% of Northern California Practicing attorneys since 2006. In 2007, The San Francisco Trial Lawyers Association nominated him as Trial Lawyer of the Year. He is the author of the Injured Worker Survival Guide (published annually in 1987 through 1995), and has been a member of the Board of Directors of the San Francisco Trial Lawyers Association (SFTLA) since 1997. He has served on SFTLA's Community Involvement Committee and Health Insurance Committees and past chair of the Third Party Work Place Injury Practice Group for the SFTLA. He is currently on the Board of Governors of the California Applicants' Attorneys Association, and serves as Third Party Issues Committee Chair. He has also been elected to the CAAA Executive Board and serves as Secretary. He is also a member of the National Organization of Social Security Claimants' Representatives. Mr. Butler practiced with The Veen Firm, P.C., as a Trial Team Leader, from 1987-2009 when he founded Butler Viadro, LLP. He was admitted to the California Bar in 1988. He has also been admitted to the United States District Courts for the Northern, Central, and Eastern Districts. He graduated from The University of San Francisco School of Law in 1987. While in school, Mr. Butler received awards for best brief and best oral argument for the school's Moot Court Competition. He also received the American Jurisprudence Award in Professional Responsibility. Mr. Butler's father was an attorney who represented plaintiffs in pharmaceutical malpractice cases and products liability cases. His mother was a dealer of contemporary art. When he was 17, he was injured while riding his bicycle by a driver who left the scene of the accident and was never caught. Mr. Butler was seriously injured in the collision and nearly lost his leg. This experience has left him with a deep-rooted passion for helping people who have been seriously injured, where those who cause injury or have the means to compensate for injury refuse to step up to the plate. Mr. Butler was born in Compton, California, has lived in Central America for several years, and is fluent in both English and Spanish. His interests include swimming, meditation, spirituality, gardening, poetry, and literature.